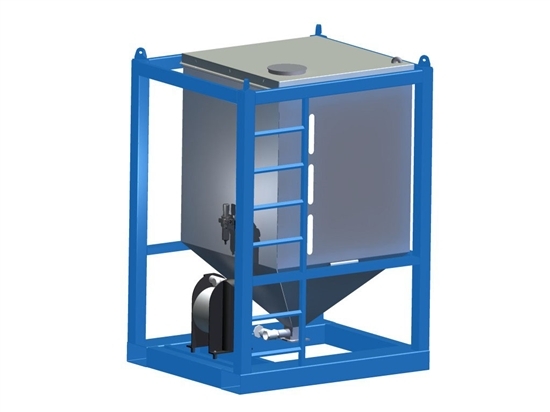 Our Safety Powder Dosing System for Diatomaceous Earth (DE) is designed to deliver dry powder directly into the fluid of the Slurry Tank of a Vertical Pressure Leaf filter unit or in the Filter Press unit. The plug-and-play unit is equipped with a pneumatic explosion proof dosing system, it can dose batches of 25 lbs (11,3 kg) of DE material. The unit can be filled onshore with large bags of DE material before transporting to offshore location. Fits big bags of 1m3. No exposure of DE to personnel. Can be used with all existing filter units.